The F200F1625 Media Air Cleaner captures a significant amount of the airborne particles in the air, as small as 0.3 microns, circulated through the unit. Replaces previous model F200E1029 and F200F2002. 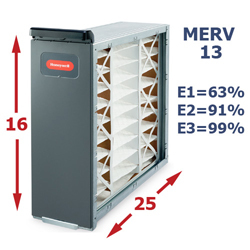 The charged media air cleaner includes the steel cabinet, access door and MERV 13 pleated media filter FC200E1029. The F200 does not require electrical wiring and can be mounted in any position. It requires no maintenance except periodic media filter repalcement every 6 months to a year based on usage. 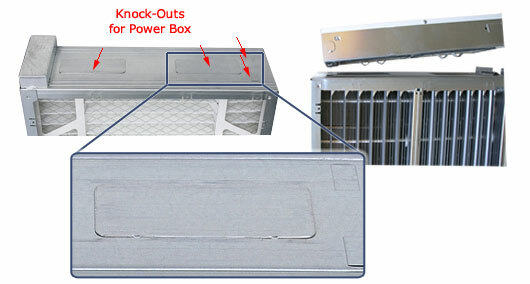 Rugged zinc-coated, roll-formed cabinet resists corrosion and can support the weight of a residential furnace and evaporator coil up to 5 tons. 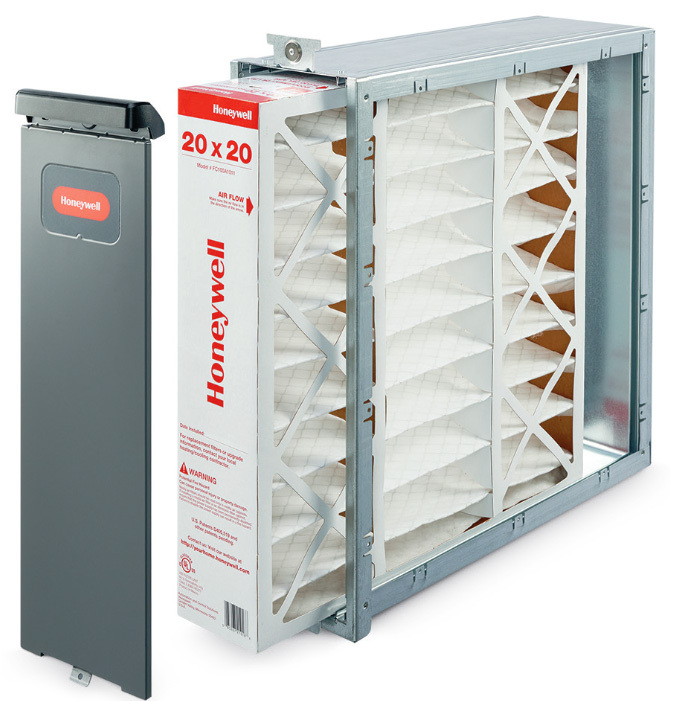 This F200 steel frame is easily upgradeable to the F300E electronic air cleaner. See section below for more info. Dimensions (in.) 16 in. x 25 in. The F200F2002 steel frame can be upgraded to the F300E1019 electronic air cleaner. The frame has knock-outs to accommodate the F300E power box. The F200 frame is the same as the F300 frame. Purchase the F300E1019 and move the components to your existing frame. The F300 cells, prefilters, and postfilters slide into the F200 frame, replacing the FC200E1029 media filter. The photo below shows the F200 frame. The frame has knock-outs that allow the cell contacts to protrude through. Remove the knock-outs to install the F300 power box. The power box simply mounts with two screws and has a 5ft cord that plugs in to a standard 120v outlet.